This vintage set was made by Strombecker in the 1930s. The art deco style bathroom set is 3/4 scale. My favorite piece is the electric fan. 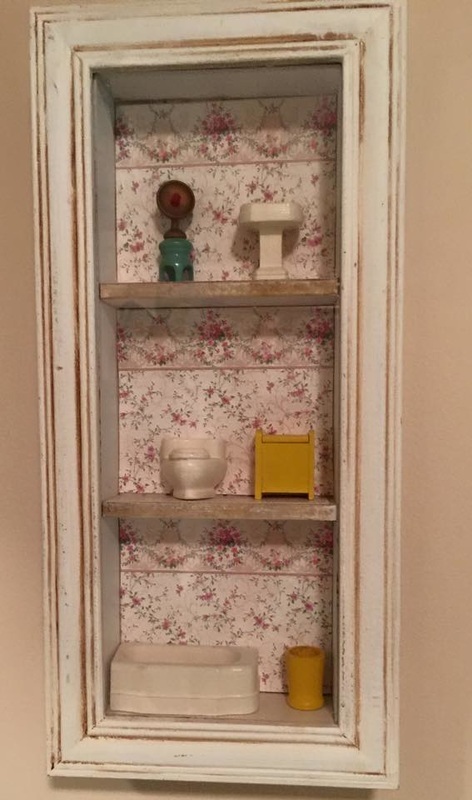 This set is displayed in my bathroom.